to detention centres set up to combat illegal immigration. The arrests come after a week of heavy fighting in the port and a day after an armed alliance claimed victory over Italian-backed militias who had been paid to stem the flow of migrants to Europe. The scale and level of the fighting saw thousands of residents flee. It also endangered Sabratha’s ancient antiquities – including remnants of a third century Roman city. 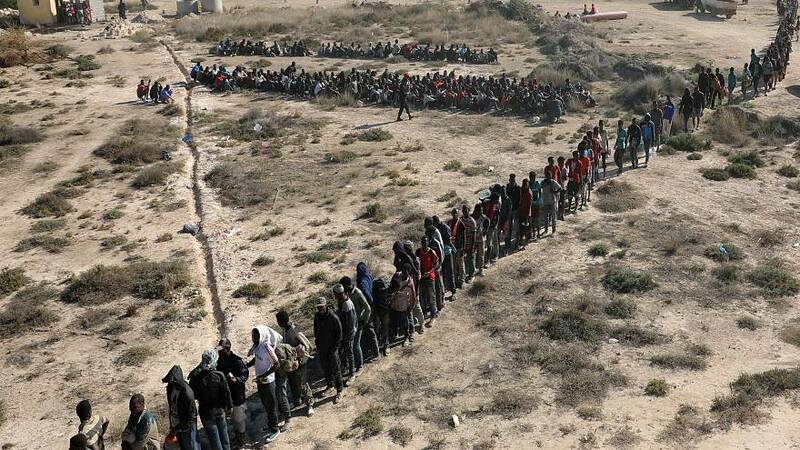 Residents have started returning to Sabratha. At least 100 people are estimated to have died in the recent power struggle for the port, which is home to a key oil and gas terminal, jointly run by Italian energy giant Eni.